Advances in the fundamental knowledge surrounding biotechnology, novel materials, and advanced engineering approaches continue to be translated into bioprocesses that bring new products to market at a significantly faster pace than most other industries. Industrial scale biotechnology and new manufacturing methods are revolutionizing medicine, environmental monitoring and remediation, consumer products, food production, agriculture, and forestry, and continue to be a major area of research. The downstream stage in industrial biotechnology refers to recovery, isolation, and purification of the microbial products from cell debris, processing medium and contaminating biomolecules from the upstream process into a finished product such as biopharmaceuticals and vaccines. Downstream process design has the greatest impact on overall biomanufacturing cost because not only does the biochemistry of different products ( e.g., peptides, proteins, hormones, antibiotics, and complex antigens) dictate different methods for the isolation and purification of these products, but contaminating byproducts can also reduce overall process yield, and may have serious consequences on clinical safety and efficacy. Therefore downstream separation scientists and engineers are continually seeking to eliminate, or combine, unit operations to minimize the number of process steps in order to maximize product recovery at a specified concentration and purity. 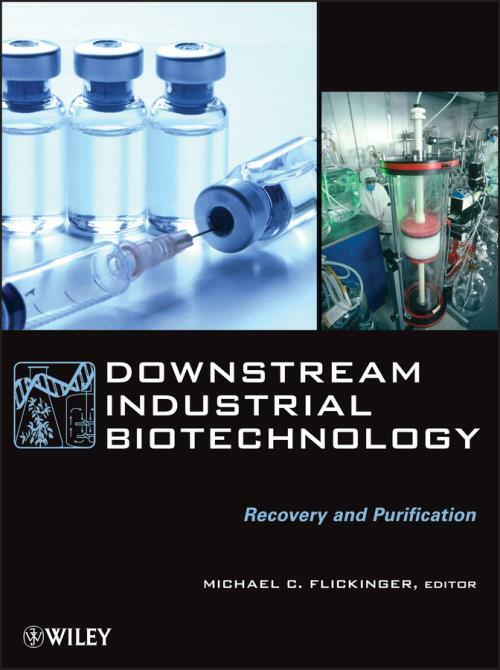 Based on Wiley's Encyclopedia of Industrial Biotechnology: Bioprocess, Bioseparation, and Cell Technology, this volume features fifty articles that provide information on down- stream recovery of cells and protein capture; process development and facility design; equipment; PAT in downstream processes; downstream cGMP operations; and regulatory compliance. Ideal for graduate and advanced undergraduate courses on biomanufacturing, biochemical engineering, biophar- maceutical facility design, biochemistry, industrial microbiology, gene expression technology, and cell culture technology, Downstream Industrial Biotechnology is also a highly recommended resource for industry professionals and libraries. Cesar C. Santana, Ivanildo J. Silva Jr., Diana C. S. Azevedo, and Amaro G. Barreto Jr.
Pérola O. Magalhães and Adalberto Pessoa Jr.